The best before dates on the milk say September now, which pretty much sounds the death knell of summer. On the positive side of things, the second annual PEI Beer Festival is getting closer - taking place at the Delta on September 6th and 7th. 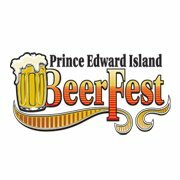 To help get you psyched, I have a limited-time promo offer for you - simply go the website www.peibeerfestival.ca and enter the code DRINKBEER when you buy your tickets online. You will receive 20% off! Hurry, though, because the code expires tomorrow! While you're at the site, be sure to check out info on the 40+ beers from around the world, patio parties, live entertainment, etc. If you were there last year, you may note that there are a couple of missing participants (Garrison, Picaroons, and Barnone). To help make up for this (especially on the Barnone front - forgive them... they're nearing the finish line of completing their on-farm brewery), a few new participants have been added, namely Rockbottom Brewpub from Halifax, Quidi Vidi from Newfoundland, and Á L’abri de la Tempête from the Magdalen Islands. Not to talk a couple of them up too much, but Greg Nash at Rockbottom is a bit of a hop genius (watch out for his Fathom IPA! ), and I tried seven different brews from Á L’abri de la Tempête this summer. They're all good, but their Corps Mort is one of the most unique and possibly best brews I have ever had. I look forward to having a few more samples so I can save my last bottle a little longer! I'm also eager to try Quidi Vidi's stuff, as I never have before, and travel to The Rock ain't exactly cheap.